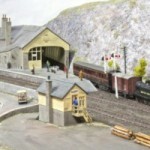 Banff-Knock is a 2mm Fine-scale layout by Ian Noble. 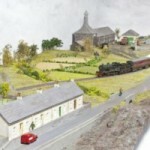 It is a model of the Great North of Scotland terminus at Banff and Knock station which was further up the line. The period modelled is the late 1940s/early1950s. It is DCC operated using the Gaugemaster DCC02 system. The layout is portable and has been to a number of exhibitions. 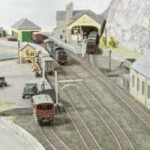 It is built so that either Banff or Knock can be operated separately or as a combined layout which requires an area 4.75m x 2.00m.